The quintessential MBA degree once believed to be the passport to success is slowly losing its sheen. Today, when you suggest a graduate to go for higher education in management, the first thought that he or she is struck by is 'to be or not to be' a management graduate from an Indian B-School, let alone a mediocre one because the reports about unemployable MBAs are mind boggling. Why has the tide turned? Why, once a sought after degree is today a course where youth is apprehensive to take the step further? The answer lies in the outcome of management education in India, which has been far from effective and has given rise to this dismal state of affairs where only seven percent of management graduates in the country find jobs after completing their course, barring those from the top 20 B-Schools (recent ASSOCHAM Report). Here lies the point - Management education in the country needs to be revamped to rise up to global standards and hone the skills of the aspiring management students to make them industrious and meticulous enough; and to inculcate in them the business acumen and desire to be not only an employee but also an employer as a successful entrepreneur. There are certain points to ponder over for improving the standards and delivery of management education in the country. The discussion here is not about the institutes that are attracting the brightest minds, but about the tier 2 and tier 3 B-Schools, which are in need to reconstruct their very approach towards management education for creating value for their students. The best global management institutions require or prefer work experience of two to four years for joining their management programs. In India, however, usually the students want to complete their education first and then join work. This leads to the frequent dissatisfaction of the employers as they feel management graduates from India need a lot of reorientation, as they do not understand the real work environment and are used to class environment of learning. Having work experience is beneficial as it gives an exposure to the real business world and application of management theories in practice. A class of students having prior work experience would surely be more interactive and learning from each other's experience would be manifold. 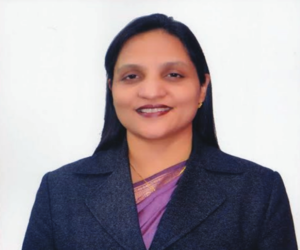 She is the Director of JP School of Business, Meerut. As an academician, she believes in sincerely imparting knowledge and contributing to research in economics and management. Her areas of interest include Total factor productivity, Technical efficiency and FDI spillovers.